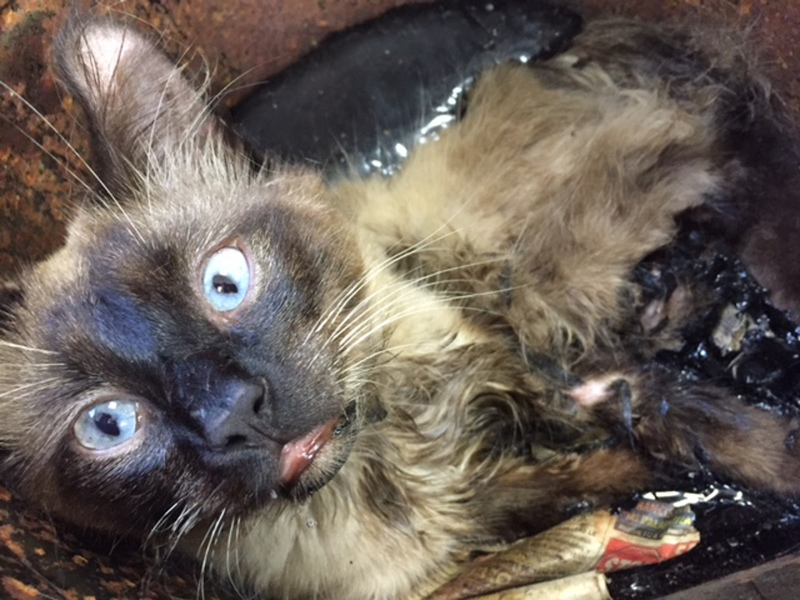 A cat with big, wide blue eyes was found placed in a bucket of molten roof tar. He couldn’t be lifted out, the tar was covering the whole side of his body and his legs were buried in it. 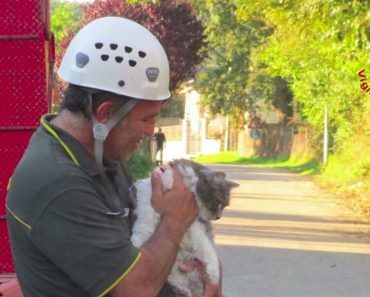 The cat was found by some kind hearted people from Friends for Life, a No Kill, LEED-certified shelter from Houston. It took a few moments to realize what they were dealing with. It was going to be a slow, painstaking process to free him from that horrible grave. “Tarleton looked like he might have just been lying curled up in any cat bed. 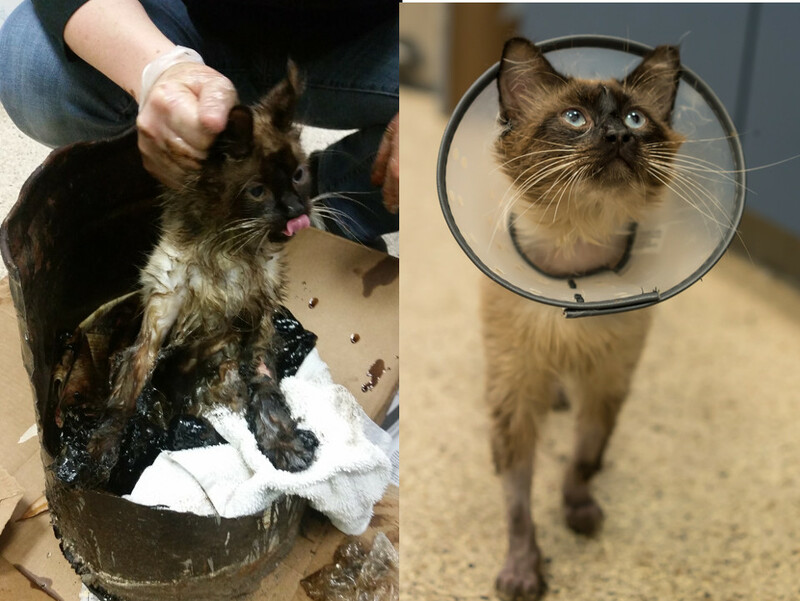 Except that it had been a bucket of molten roof tar when he first was placed there and he was stuck fast.” wrote the cat’s rescuers on their website. 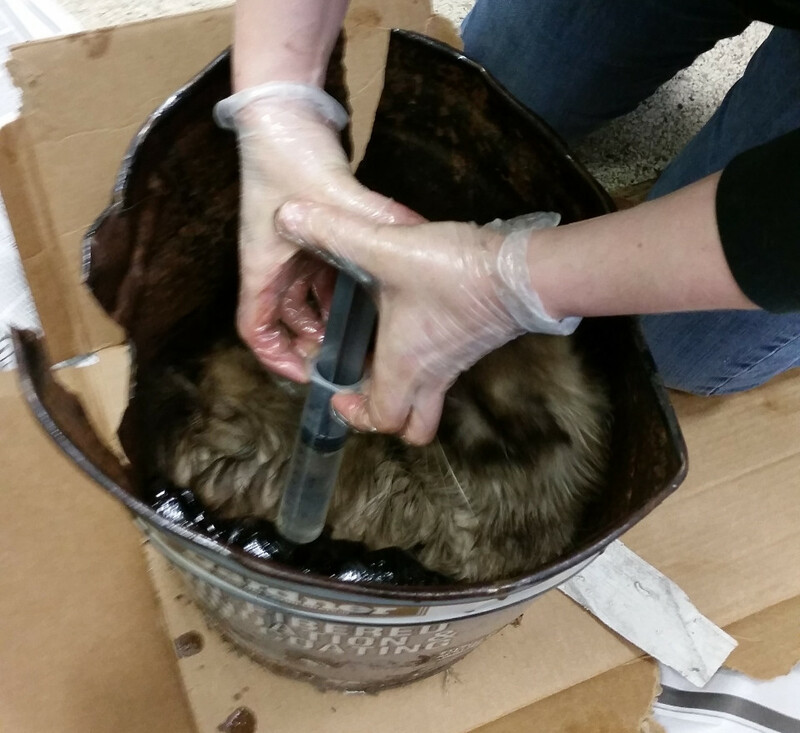 They injected mineral oil and vegetable oil around him to loosen the grip of the tar. Next came cutting the bucket away for more access. After they managed to take him out of the tar they discovered he had a badly broken leg and a broken pelvis. His skin was also burned from the chemicals in the tar. “Freeing him led us to learn that he had a badly broken leg (so badly, in fact, that it had to be amputated) and a broken pelvis. His skin was also burned from the chemicals in the tar. 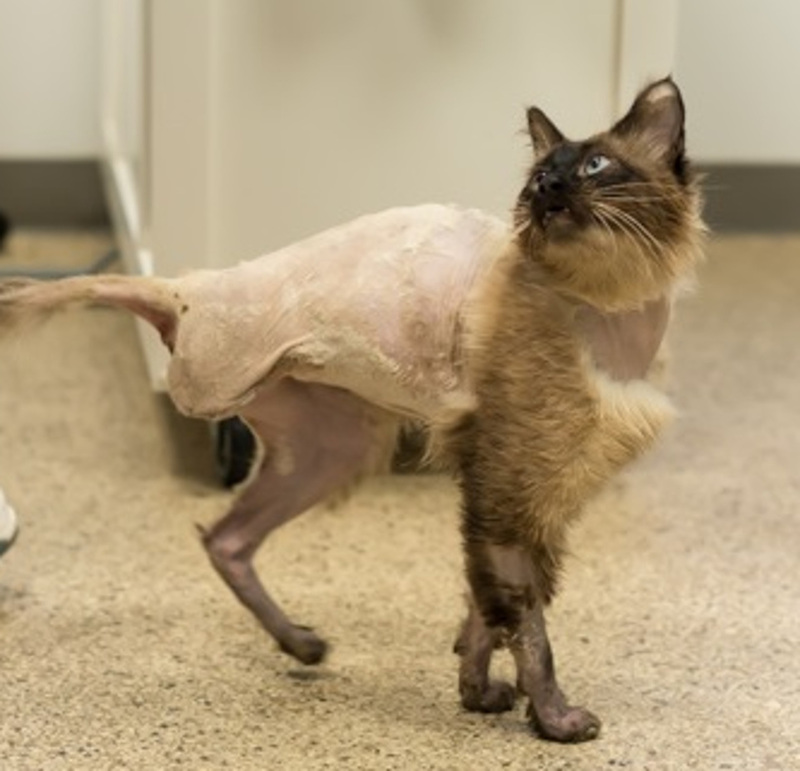 Angry, firey red patches came up on his feet and underside where the fur and skin had been burned away.” wrote his rescuers. They named him Tarleton. It was like he understood from the beginning that the whole team was working hard to help him. They worried about how quickly they could get the petroleum based tar off him and how much had already seeped into his system. 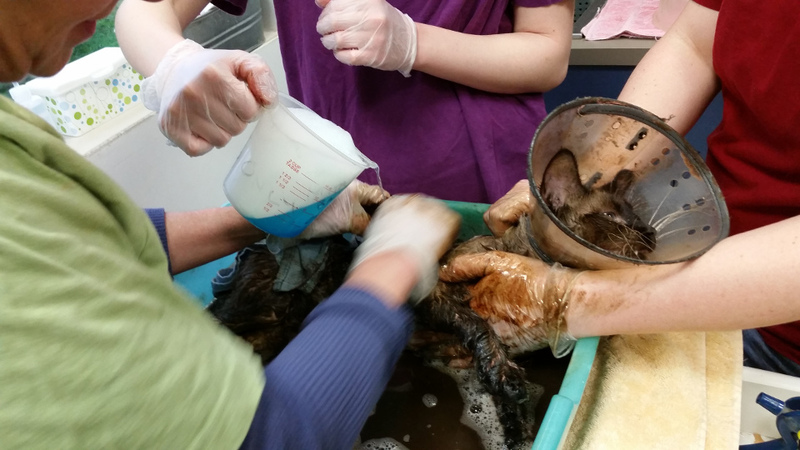 They used warm water and Dawn to start to wash him bit by bit. “His grace through that kind of pain was breathtaking.” they wrote. Tarleton came through his surgery like a champ and has had cage rest to allow his pelvis to heal. It didn’t take long and Tarleton found his forever loving family, he was adopted! 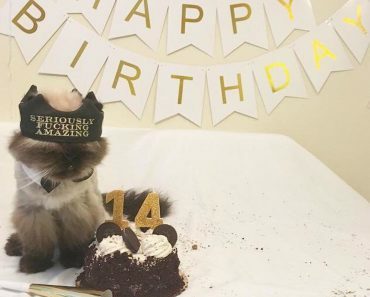 He is now happy and loved! The team from Friends for Life did an amazing job to save Tartelon’s life! How did they do it? “We talked with Uncle Google. We brainstormed. We rolled up our sleeves and prepared to get grubby. 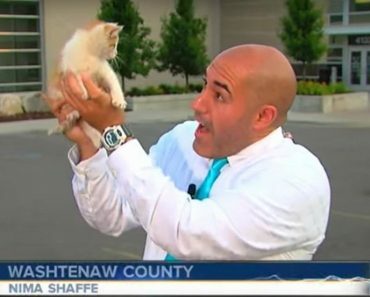 But here’s the thing: it was never, never, never an option to just kill this cat without trying. And that’s where the rubber meets the road in sheltering. We start from a basic and non-negotiable place: Sheltered animals have a right to live.” they wrote. 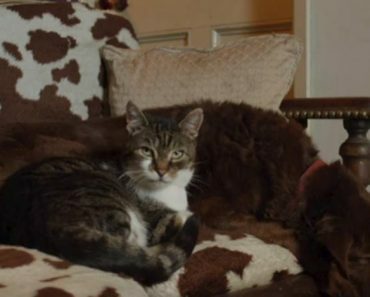 A Blind Dog Can Enjoy Walks Again Thanks To His Friend Guide Cat! 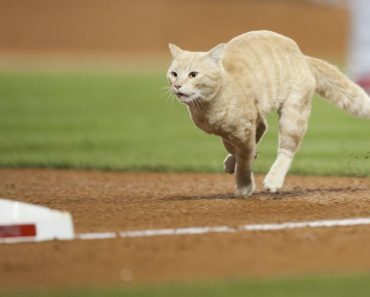 A Cat Interrupted Angels Baseball Game! 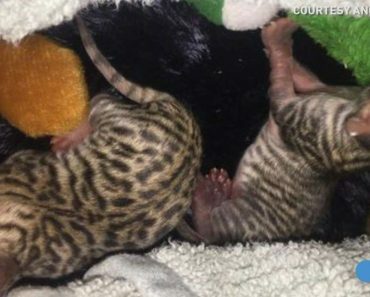 Mysterious Kittens Were Found In An Indiana Barn, The Breed Is Unknown!